I had to inspect an apartment complex in May. They had this on the wall outside the gym. 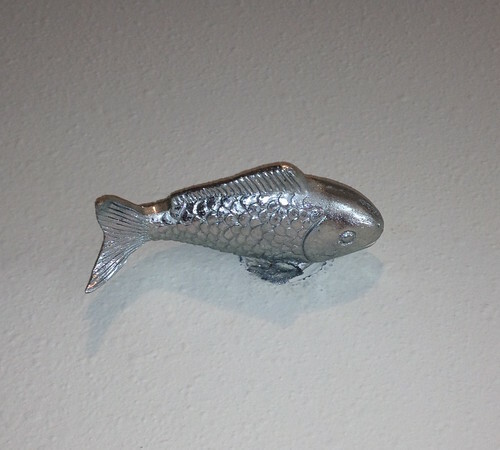 It's a fish made of silver colored fish sculptures. It was so cool. 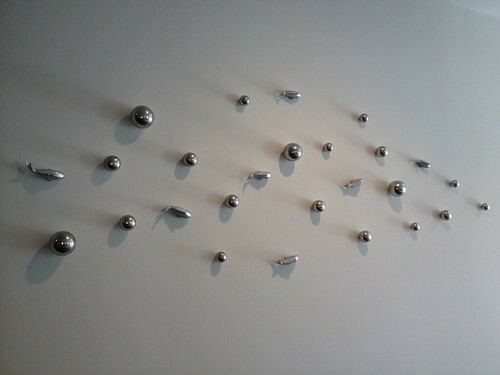 I see things like this and want them for my walls. It would probably be easy to obtain the fish and the bubbles, but I don't have the wall space for them. I never did get around to painting the bathroom. It's still on the "to do" list. Makes me kind of embarrassed to admit it's yet another project I haven't completed when I see awesome stuff like this.